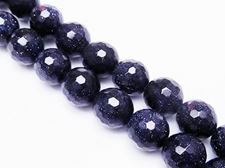 Mankind has always dreamed up ways to imitate nature and some have succeeded so well, we hardly remember those stones where created outside mother natures lab. 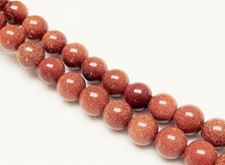 Hematine, opaline/opal quartz, calsilica and goldstone they all have filled the artist's world with wonderful opportunities to create. 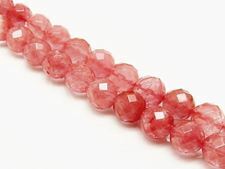 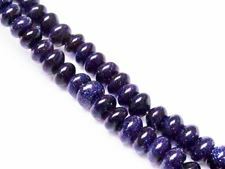 Goldstone or aventurine glass is a lab created gemstone of Venetian 'origin' that contains copper crystals. 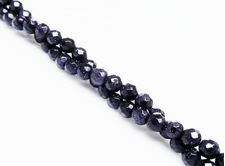 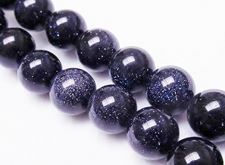 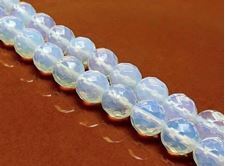 Goldstone exists in several colors but the glittery night blue version of dune beads has a more silvery appeal because of the filtering effects of the glass body and the cobalt additive.